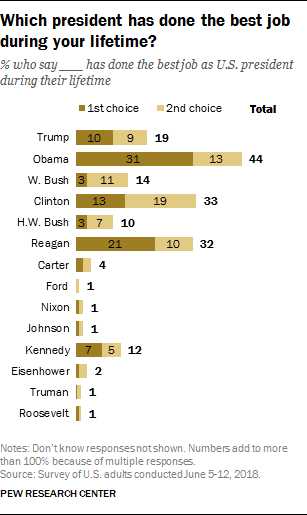 The Pew Research Center wrote: When asked which president has done the best job in their lifetimes, more Americans name Barack Obama than any other president. 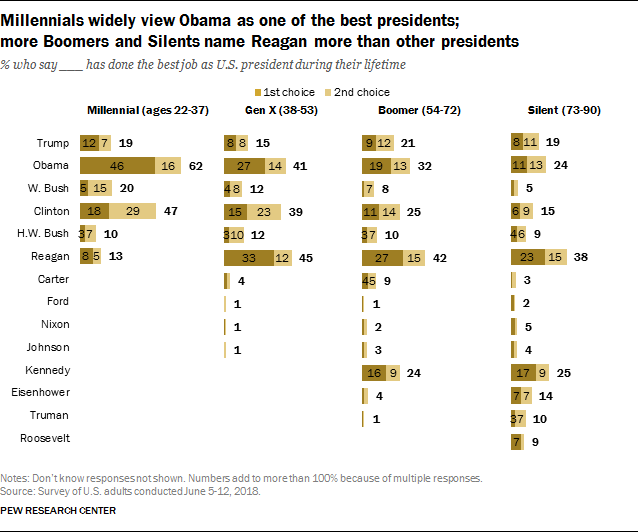 More than four-in-ten (44%) say Obama is the best or second best president of their lifetimes, compared with about a third who mention Bill Clinton (33%) or Ronald Reagan (32%). 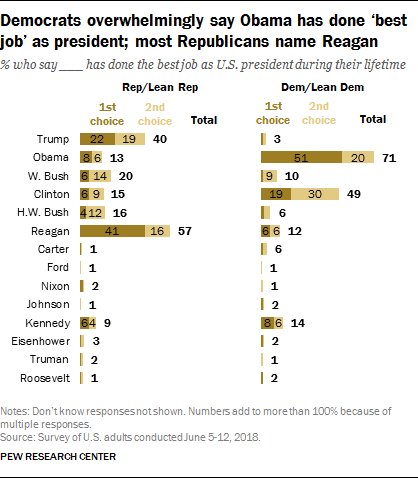 The survey by Pew Research Center, conducted June 5-12 among 2,002 adults, asks people in an open-ended format which president has done the best job in their lifetimes. The analysis is based on their first and second choices. 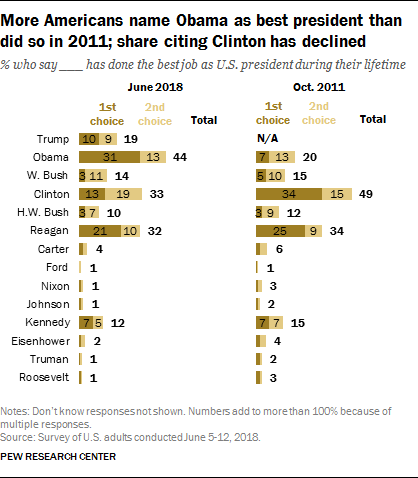 Republicans are less likely to name Clinton than in 2011 (28% then, 15% today), while somewhat more say Obama has done the best job of any president of their lifetimes (5% then, 13% today). I'll let you have your opinions, but just remember as you read this article and look at the infographics: THE NUMBERS DON'T LIE! I wasnt polled. Obama close to Cater being worse president. Reagon the best. To a bit of a degree, I'll say was the best REPUBLICAN President we've had in my lifetime. As for the Democrats, I'll give it to JFK, Obama or Clinton. That's my 1-2-3 on that end.